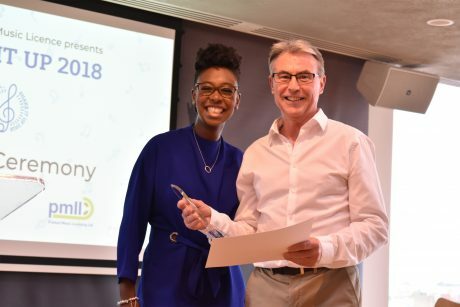 Printed Music Licensing Ltd (PMLL) and the Copyright Licensing Agency (CLA) are launching the second annual Shake It Up competition for music teachers across the UK, promoting music education and the Schools Printed Music Licence (SPML). After a resoundingly passionate response last time, Shake It Up is back in time for a new academic year. The competition asks music teachers across the UK to submit a unique arrangement of printed music. The winner will receive £700 cash to spend on music resources for their school, with £400 each for two runners up. The SPML was created to help drive student progress in music by giving them greater access to printed music, while also ensuring that creators receive fair payment for the use of their work. The Licence permits schools to copy and reuse content from printed music, meaning they can make copies (both photocopies and digital copies – i.e. made by scanning or by using notation software e.g. Sibelius or Finale) and flexible arrangements (by hand, using notation software e.g. Sibelius or Cubase, or using a Digital Audio Station, e.g. Logic or Cubase). Any teacher working at a school covered under the SPML is eligible to enter Shake It Up, including peripatetic teachers and those based at a local Music Hub or Instrumental Service. The submitted arrangement must have been made for a distinct school purpose, such as a school orchestra, choir, timetabled music lessons, or school band. Entries should also be accompanied by a short, written account of why the arrangement was created and the importance of printed music being put in the hands of our young musicians.